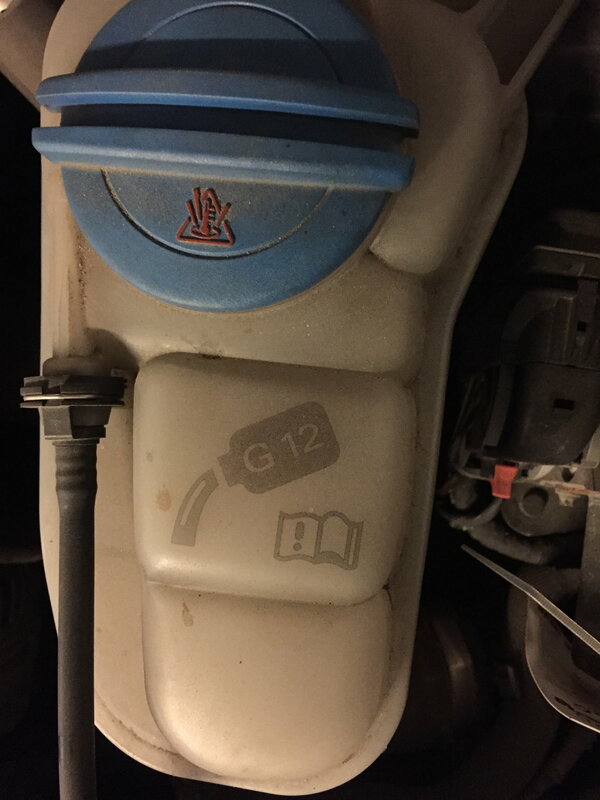 Just notice the below while topping up the wind screen washer fluid! Is it normal ? Car was serviced 5300 KMs back! If it is normal, just want to know how often I have to check and top it off? I just drove the car today for 6-7 KMs after a day of standing in garage, and weather is around -9 degree Celsius. Sasi, you should not need to check coolant level often unless you have a leak. People don't top off their coolant unless there is a problem. -9C isn't that cold. Will it be warmer next week? Can you check it again soon? I am not sure if I have any leak now! Is it fine if I wait until coolant warning on dash? Reg. Warmer : Should I take a long drive and check again? Just curious if fluid level will get increased after a long drive!!! No, I don't have but will buy it tomorrow and top it off until the MAX and will keep an eye on it. Is it okay? But I am sure that the level was until the max before 3300 miles. I wouldn't "top" it off, I've had times where the level rides low and then comes back up. But just below min line is all it's ever dropped, then few days later back in the middle between min and max. Not sure where it goes, but it is what it is. But you're way down. I'd bring it back up to the bottom of the MIN word, then check it each morning after many hours of no running so you have a consistent baseline of being cold and inactive. See if it's moving, up or down. I've added maybe 20oz of coolant in all the years I've had mine. It's not something you normally need to manage (though always check it each oil change, etc). As mentioned you need to get it back to a reference point. Make sure you get Audi approved antifreeze or equivalent. Refill it to the MIN. line when the engine is COLD. 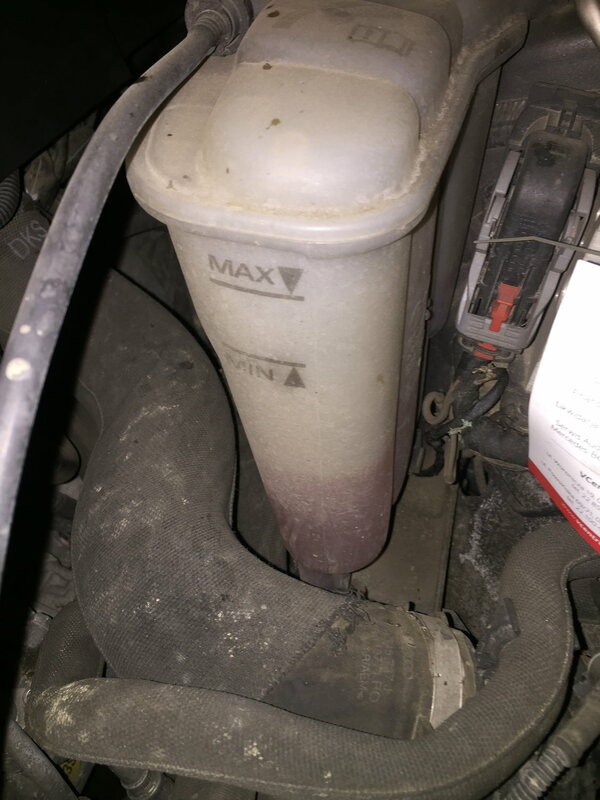 Drive the car and it will get closer to the MAX line after the coolant system heats up. Check it every day in the morning when it is cold. It should not go below the MIN line and if it does you have a leak someplace. Good luck and keep us posted. Should I use concentrated or 50/50 coolant? Sasi, dilution ratios should be listed right on the rear label. Yes, a 50/50 mix will be fine for most.